We wanted to work in a team of brilliant ski instructors – people who we knew and trusted completely. And by having a team of committed instructors who know ski teaching (and Verbier) inside out, we can be certain that when you have a ski lesson with us, not only will you have the best possible day on the slopes, but you’ll also be able to take your skiing to the next level. So whether you want to learn to ski from scratch or become an instructor, or if you want to work on your parallel turns or learn to carve, perhaps master bumps or shred powder, we’ve got the ski coaches to help you achieve your goals. 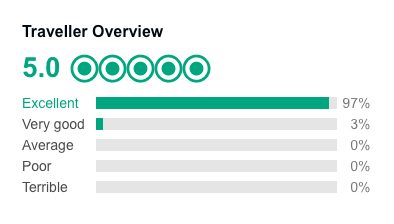 We’re very proud to have loads of great reviews on TripAdvisor from our clients. In fact, our clients have voted us the best ski school in Verbier. Meet the instructors who make up our ski school. Just click here to see who’s who and to find out more about the team. We offer a range of private ski lessons and coaching courses to help you take your skiing to the next level. 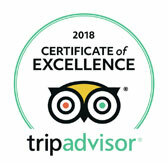 To find out more about our ski lessons, make a booking or just to have a chat, then click here – we’d love to hear from you. Whether you want to learn snowplough or carving, moguls or off-piste, our private ski lessons allow you to book an instructor so you can enjoy a personalised lesson that moves at the pace you’re comfortable with. Naturally you can have as many people as you want in your lesson, so if you want to share with friends or family that’s fine – and we don’t have any extra charges for that. You just pay one price and you decide how you want your lesson to go. From beginners to experts, we want everyone to enjoy skiing even more. Our Women’s Camps are group lessons specifically designed for women who want to ski with like-minded female skiers and work on their technique in an environment they feel really comfortable in. There’s quite extensive evidence that men and women learn differently, so Emma has created our Women’s Camps to not only coach clients in a female-only environment but also look at the specific psychological and physiological differences in the way women ski. These focussed camps help you work on technique and tactics in a group environment, whilst being coached by some of our very best female coaches. So you can take your skiing to the next level. Finally we run ski instructor training. This is in partnership with Peak Leaders for the BASI Level 1 and Level 2 courses, and we also run the Concept ISIA programme that takes instructors forward from the Level 2 to the BASI Level 3. This is pretty high end stuff but if you are interested in becoming an instructor and taking your first steps towards a qualification then get in touch. And if you’re a BASI 2 who wants to take on the challenge of the BASI 3 then we’d love to hear from you.